Revamped version of Folder Lock Lite launched with a new graphic user interface. Beaverton Oregon – Nov, 25th, 2014 Technology has certainly made us our lives luxurious, but we have paid dearly for these luxuiries by compromising our privacy. Today, we heavily depend on the computer for our daily routine work and, especially, we use this amazing invention to save our information. We have our important documents, pictures and credentials saved in our computer. The computers we use, are not the safest place to keep our sensitive and confidential records as professional data thieves have the potential and sophisticated tools to steal them. Data thieves – determined by the prospects of easy money – steal information from your computer physically, use your stolen information for fraudulent activities that can harm you in many aspects. These data thieves can use your information to apply for a credit card, open a back account, apply for a loan or to perform similar activities. Information security experts have been working for years, trying to develop the perfect solution to combat data theft. But, someone had to take some effective measures to control this ever growing dilemma and New Softwares.net has done it. Our Information security experts have spent months and years to engineer Folder Lock Lite that can keep data thieves away from your private data. The software provides password protection to all your confidential files and folders, irrespective of their nature. It’s immensely strong algorithm prevents criminals from getting a hold on your data, providing foolproof security without any complexity. 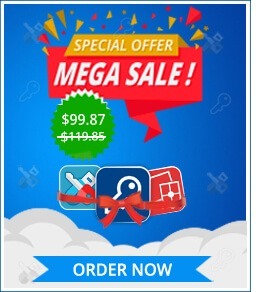 This reliable and dynamic data security software is priced only $24.95, which is nothing compared to the services it provides.